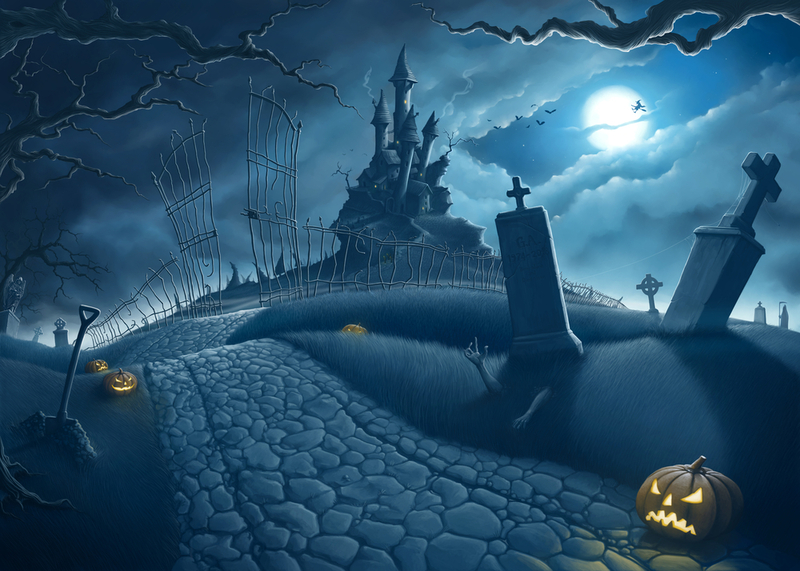 What comes to mind when you think of Halloween? Is it the pumpkins? All of the different costumes? Perhaps it’s a scary movie? A classic Halloween trademark will always be the Witch… Ominous and unpredictable, she is born of folklore and commonly adapted to modern day horror. 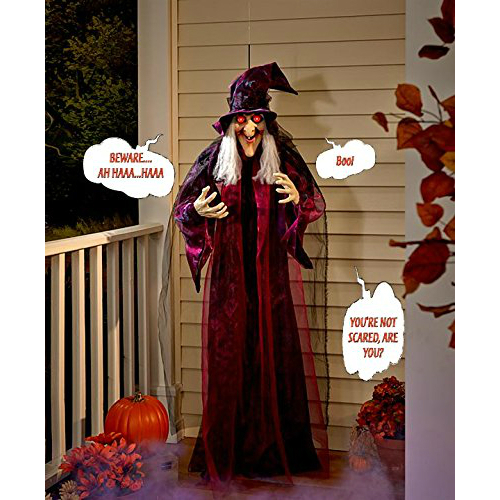 This Talking Witch Haunted House Prop stands an intimidating 5 foot 9 and can be hung pretty much anywhere that you can imagine! Just remember that she is lightweight, so keet her fastened reasonably tight and shaded from any extreme weather. Also, note that she has the capability to scare fully grown adults, so needless to say, take care around children as she is quite scary to some. 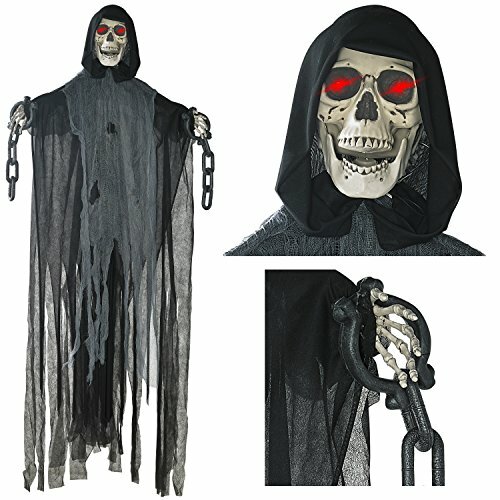 And here is the Animated Hanging Grim Reaper. This avatar of death, would make a perfect doorman this Halloween if you’re looking to scare any trick-or-treaters or visiting guests for any possible Halloween family and friend festivities! He comes with tattered hooded robes that give him a wispy and haunting feeling as he sways in the wind, moving his body with his animated arms and light-up eyes and he warns any passerby of their impending doom! 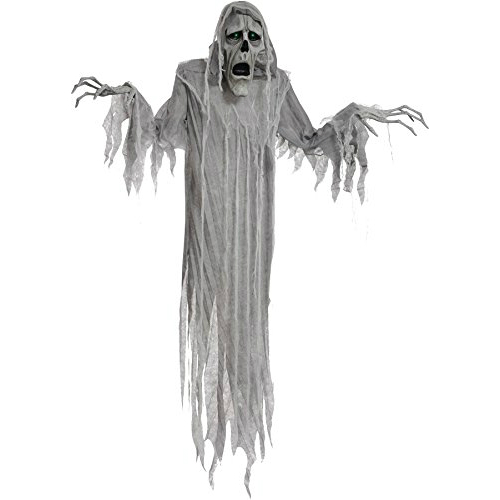 This haunting apparition gives a good atmosphere to any Halloween home! He’s made from a thick metal so he’s sturdy and his arms are poseable so you can get creative with setting him up! For being a supernatural ghost, he’s pretty realistic looking too! This Hanging Phantom also works off of a motion sensor so consider that as well when putting the Phantom up somewhere. As with our other reviewed props, The Hanging Phantom by Morris Costumes can scare the young ones, so keep that in mind!